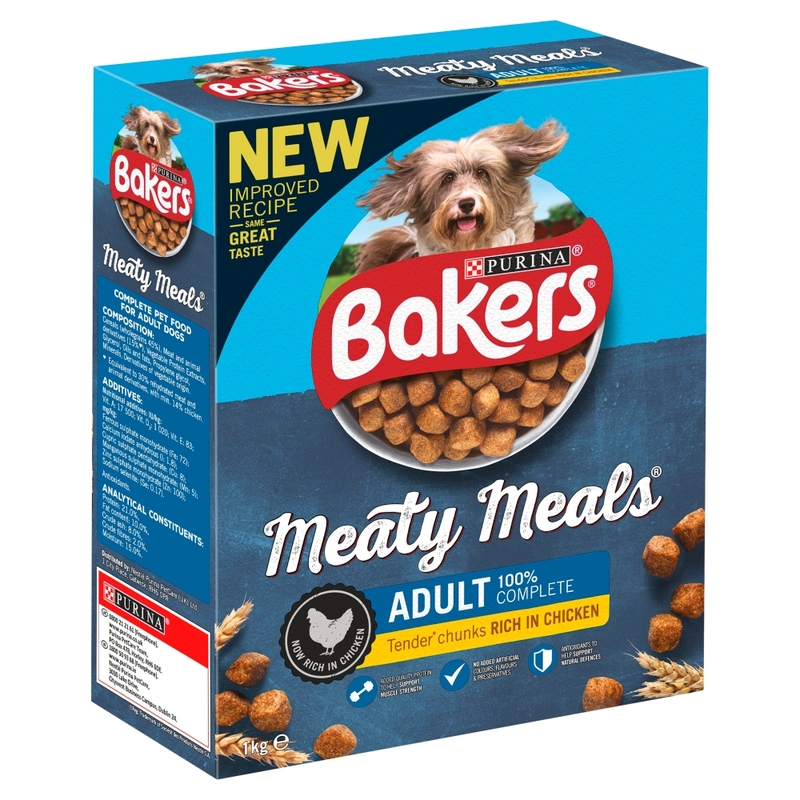 Bakers Meaty Meals are crammed full of succulent fresh, moist meaty chunks. 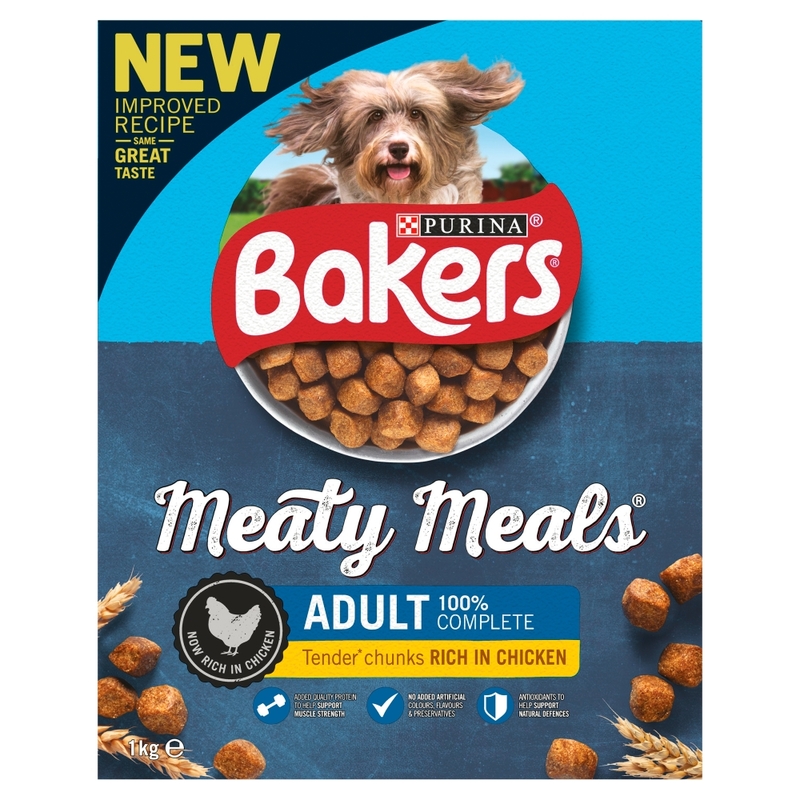 Each delicious Meaty Meal guarantees a 100% complete and wholesome meal perfect for everyday feeding. 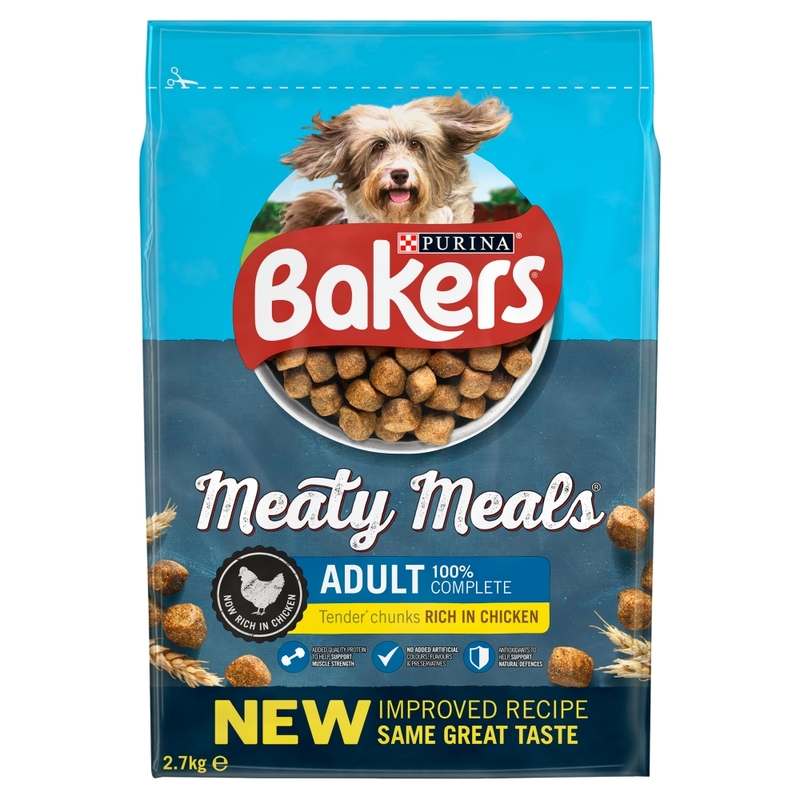 Your dog will love to tuck into a Meaty Meal. Cereals, Meat and animal derivatives (26 % meat, 4% beef/chicken/lamb), Various sugars, Vegetable Protein Extracts, Oils and fats, Minerals. The recommended daily amounts should be adjusted according to weather conditions, the animal’s level of activity and its physical condition. Individual needs vary and feeding should be adjusted as required to help maintain your dog at a lean, healthy body weight. Clean, fresh drinking water should always be available. 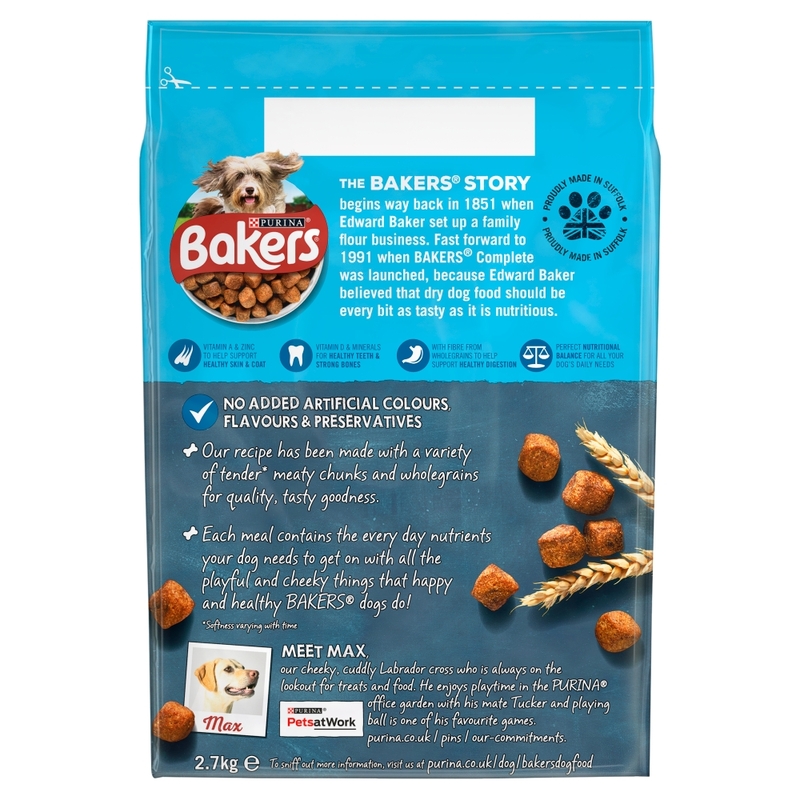 There are currently no questions for Bakers Complete Adult Meaty Meals Dog Food - be the first to ask one!